I love soup because it's where I often experiment and where I often have the most success. And then add in the benefit of getting a ton of vegetables when you throw all them in there (just me?) and we're really laughing. This soup I created will not only warm your soul (no really, it will since there's ginger in it to give it some "zing"), but it will please your tastebuds. It will also last you well into next week if you make the size of the batch I did! 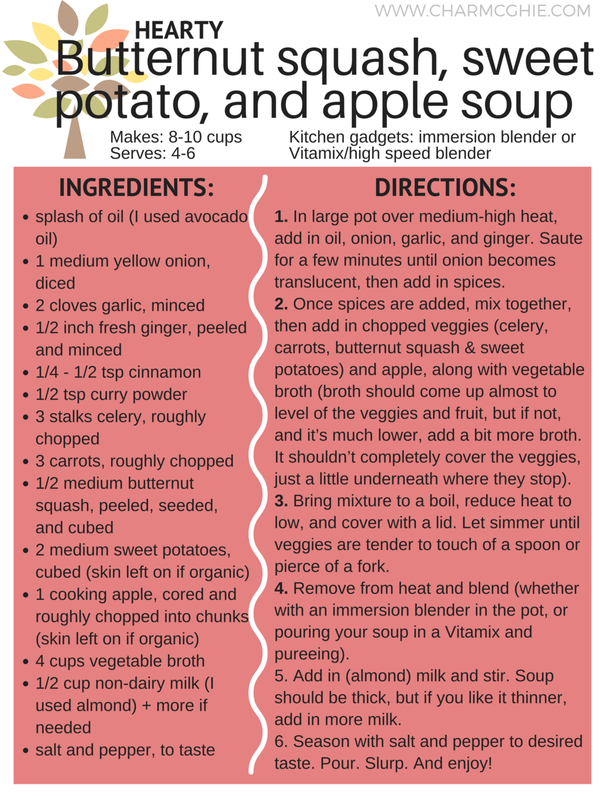 So grab some veggies, broth, and spices, and join me below for a fantastic butternut squash, sweet potato, and apple soup!